In a blog post titled "Bigger and Better Things Ahead. I'm putting in my two year notice." Joyner announced on his radio show and on BlackAmericaWeb.com that he is leaving his morning show "The Tom Joyner Morning Show" at the end of his new two year contract agreement. Tom Joyner said, "Every one who’s been on this ride with the Tom Joyner Morning Show for the last close to 25 years knows I like to do things Big." Here’s my promise to you: We will continue to be reachable, relevant and ready to super serve our audience in true Tom Joyner Morning Show fashion. The celebration will be epic as we remember the guests, the laughs, the tears, the bits, the unforgettable moments we’ve shared together…and, of course we’ll be making new memories along the way. When we go off the air each morning, I never say goodbye…and I’m not saying it now! Here’s to much more good radio! Share your favorite TJMS memories on social media with #TJMS25"
Read the entire blog post here from BlackAmericaWeb.com. Tom did not give the specific end date for his show but his show will run to the end of 2019. There was no announcement of who will take his place as well. The only thing for certain is that the syndicated morning show will continue with a new host through his company Reach Media and radio partner Radio One/Urban One, Inc.
Reach Media today announced a two-year agreement that extends the Tom Joyner Morning Show in radio syndication through December 31, 2019, as he culminates his trailblazing career. The renewed agreement comes as the broadcast pioneer prepares to mark his 25th year in syndication (#TJMS25). To commemorate the anniversary, Joyner plans to launch a two-year-long celebration campaign, sharing events and experiences with his listeners highlighting the past, present and future of the Tom Joyner brand. Joyner will reveal more as his show moves forward with events and activities as a lead-up to the conclusion of his iconic morning show. Continuing to dominate as one of the leading shows in radio, The Tom Joyner Morning Show currently reaches over 7.4 million listeners with more than 95 affiliates. The Tom Joyner Morning Show is broadcast weekdays from 6-10 AM ET, offering listeners entertainment, information, and music, addressing topics important to the African-American community. In his 25 years as a leader in the industry, Joyner’s impact and influence have never wavered. From sold out consumer events (15th annual Allstate Tom Joyner Family Reunion and 19th annual Tom Joyner Foundation Fantastic Voyage Cruise), to thought-provoking digital outreach with BlackAmericaWeb.com, Joyner’s mission thrives today. 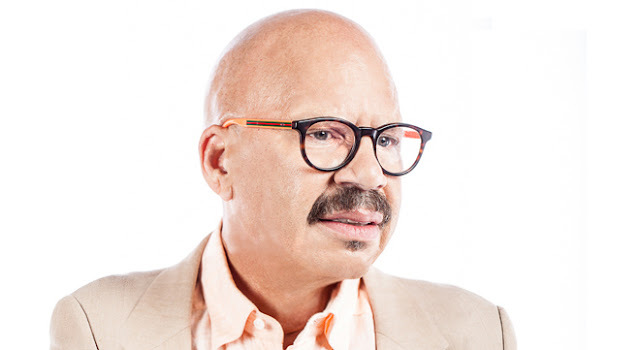 The Tom Joyner Morning Show remains a staple in the African-American community, consistently promoting relevant issues and social causes that need attention and action. Whether raising over $500,000 in funds to support survivors of Hurricane Harvey and Irma, or promoting health and wellness through his ‘Take a Loved One to the Doctor Day’ campaign, Joyner’s community activism is always top priority. His belief in education has resulted in over $65 million raised to support students attending Historically Black Colleges and Universities with The Tom Joyner Foundation. His show easily finds the unique balance to empower and entertain featuring exclusive interviews, hot topic discussions, segments with today’s best comics and LIVE In Studio Jam performances during his show from artists ranging from John Legend and Jennifer Hudson to Fred Hammond and CeCe Winans. Joyner first gained popularity after earning the nickname “The Fly Jock” for flying round-trip between Dallas and Chicago 5 days a week, 7 years and 8 million miles hosting morning drive and afternoons in two different cities. Joyner then revolutionized radio when his program became the first morning show with music in syndication, launching January 3, 1994 and featuring a live performance by R&B legend Luther Vandross. Over the course of his career, Joyner has been inducted into the Radio Hall of Fame and received the National Association of Broadcasters’ Marconi Award, Billboard's "Best Urban Contemporary Air Personality” award, the NAACP Image Award and many honorary doctorates. He grew up in Tuskegee, AL, the son of one of the famed Tuskegee airmen and got his first job as a DJ after protesting a local station’s refusal to play R&B music. In 1978, John H. Johnson provided Tom his major market break with an opportunity to broadcast on WJPC, as well as eventually hosting the Ebony Jet Celebrity Showcase TV interview show. In 2003, Joyner made The Tom Joyner Morning Show part of his newly created company, Reach Media, Inc. - a cross-platform entertainment company that produces programming, events, digital content and initiatives that engage communities. Radio’s leading syndicated urban morning radio show, The Tom Joyner Morning Show has distinguished itself over the years by continuously giving back to its audience with quality programming, community initiatives, special events and philanthropy. Tom Joyner and the show’s popular co-host Sybil Wilkes relate to listeners by empowering, informing and entertaining with positivity. Regular contributors including Roland Martin, Jacque Reid, Huggy Lowdown, Shaun King, Chris Paul, Reverend Al Sharpton and Mellody Hobson engage the audience by exclusively connecting them with the people they want to hear from. Arsenio Hall, Lavell Crawford, Bill Bellamy, Kym Whitley and Sherri Shepherd rotate in the ‘Funny Chair co-host position’ each weekday morning giving listeners a different take on the hottest topics. The Tom Joyner Morning Show is distributed by REACH Media Inc., founded in 2003 by Tom Joyner and CEO David Kantor. REACH Media is an Urban One company.